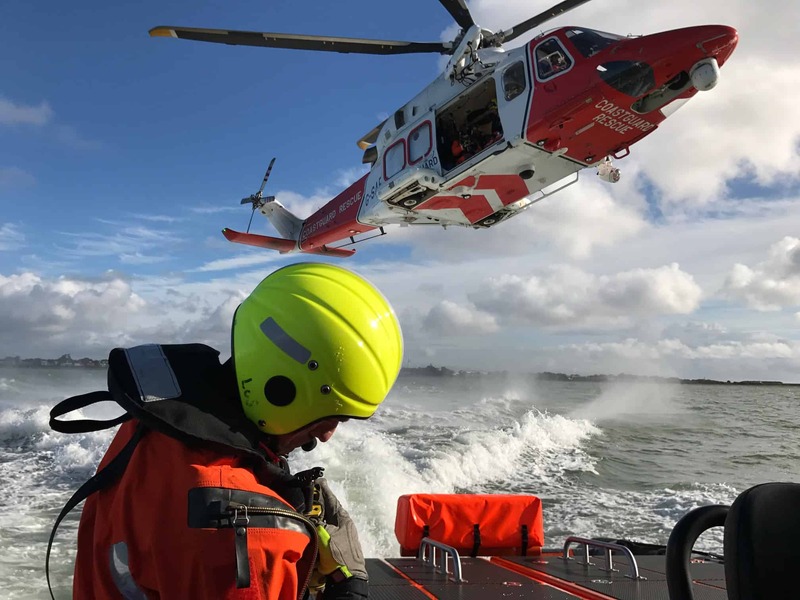 Gosport & Fareham Inshore Rescue Service (GAFIRS) assisted Coastguard 104 rescue helicopter with some vital lifesaving training in The Solent. The rescue helicopter, based at Lee-on-the-Solent, called on GAFIRS on October 16 to provide assistance with winching and life raft deployment. The exercise lasted around 45 minutes and saw Coastguard 104 deploy winchman on and off the port quarter of Gosport Independent Lifeboat, the Joan Dora Fuller. The training exercise also saw GAFIRS provide safety cover for the second part of Coastguard 104’s training exercise which saw the helicopter deploy a life raft and its crew practice winching casualties into the aircraft. Gosport & Fareham Inshore Rescue Service is an independent lifeboat station run entirely by volunteers, 24 hours a day, 365 days a year, based at Stokes Bay, Gosport.